Stolen Firearm and Methamphetamine, Deputies Arrest Alleged Burglar and Outlaw Companion, LIVINGSTON, August 27, 2013 - On August 21, 2013 Detectives and Deputies with the Polk County Sheriff's Office searched a residence off of Pea Ridge Road acting on tips received about possible stolen property being at the residence. During a search of the residence Detectives and Deputies located a stolen firearm and methamphetamine. Arrested and charged with theft of a firearm and possession of controlled substance (methamphetamine) was George Franklin Ketchens Jr., 24, of Livingston, Texas. Also arrested at the scene was Matthew Lester, 24, of Livingston, who was located inside Ketchens residence Lester had an outstanding felony warrant out of Polk County. Detectives say more arrests are expected as the investigation continues into stolen property. 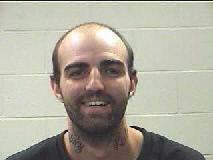 George Franklin Ketchens, Jr., 24, of Livingston was arrested and charged with theft of firearm and possession of a controlled substance. 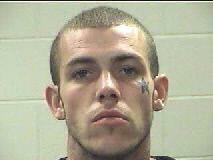 Matthew Dwayne Lester, 24, of Livingston, was arrested on an outstanding felony warrant.